I was out fishing on Friday on "Secret Lake," and if you're a fisherman, you get the joke, and was catching fish at a rate of about one every six minutes. 30 fish in 3 hours, it was a blast. I was the only boat on the lake and was just having a great time. At one point I heard a clunk like something falling. I figured it was my travel mug of coffee shifting or something like that, so I didn't pay much attention. Ten minutes later, I look down and there is my cell phone sitting in a half inch of water on the bottom of the kayak. Now, it was an old crappy cellphone, but needless to say, I felt pretty dumb. It was fried of course; stuck in an endless cycle of reboot and then, eventually, a white screen of death. RIP crappy cellphone. I loved that phone. My wife jokingly accused me of doing it intentionally in the name of getting a new smart phone. Of course that's not true, but we had been talking about me getting one eventually anyway, so it was meant to be. We went to the ATT store on Saturday and purchased my "upgrade" which is an understatement, to say the least. 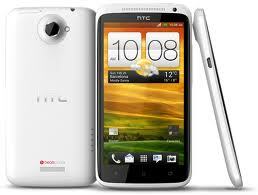 I got an HTC One X. It was a $99 upgrade and will do everything but start my car. There was a fairly steep learning curve the first couple of days, but every day I use it I get more comfortable with it. I do have to say though that if the touch screen keyboard does not send me to the the psych ward, nothing will. I try and type something like "with" and it comes out "qyrb" or something like that. The salesman said auto correct will fix all of your errors at the end of your text. It doesn't work that way, at least when I need it most. I'm determined to make it work though because I like so many other features of the phone. It has a camera that allows me to take pictures while I'm videoing. It does panoramic photos, which are amazingly clear. It does multi-shot that shoots multiple picture until you let go of the button and so much more. The only other gripe I have with it is also it's biggest virtue, and that is it's size. It's got a beautiful display screen and nice, big icons, but it's a pain to carry around. It's like putting a butter dish in your pocket. My buddy said he uses a belt carrier for his phone, but frankly, I don't want to be that guy, so butter dish it is. There's other small, first-world issues I have with it; no SD card slot, the volume button is too sensitive and forever turning off my vibrate when I click it by accident, no single app killer function, etc., but for the most part I am very happy with this phone. I promise I won't become one of those sad soles staring into the tiny screen on every street corner of the world, but I'll need your help, because I don't want to become that guy either. So, if I tell you I want to show you a great new app on my phone, just say, "Jim, I'm so sorry..."